The links below are affiliate links. When you start your Amazon shopping here, we will earn a small commission from your purchase at no additional cost to you. Thank you for supporting Savor the Flavour! We’ve used and loved all of the following products (or something very similar to them). We recommend these treasures so you can enjoy them, too! 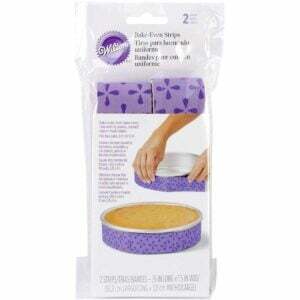 These high-quality Wilton cake strips are the secret to getting evenly baked, flat-topped cakes. Now you don't have to cut the dome off of the cake! We use our collection of 8-ounce canning jars every single day. They make perfect juice glasses and storage containers. 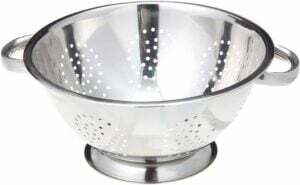 This colander has a solid base to prevent it from tipping as you drain pasta or veggies into it. We've used and enjoyed this one for years! 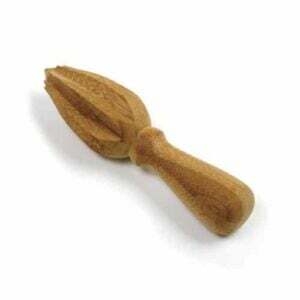 This sturdy citrus reamer extracts every drop of juice from citrus fruits! We were impressed with how well this reamer works. Crumpets are like a thick, yeasted pancake that's popular in England. These crumpet rings are essential to hold the batter while the crumpets are cooking. These ones work very well! Funnels to the rescue! They come in handy for pouring liquids and spices into narrow containers without spillage. 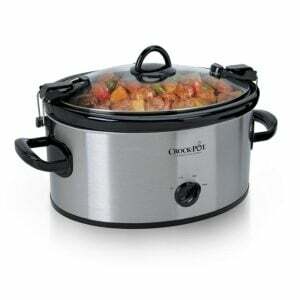 Crockpots are perfect for making bone broth, mulling apple cider, and keeping soup and mashed potatoes warm. These round cutters are ideal for biscuits and cookies. The handle on top make them really easy to use. This toaster has served us well for a few years. The toasting time dial, defrost setting, and removable crumb tray are our favorite features. 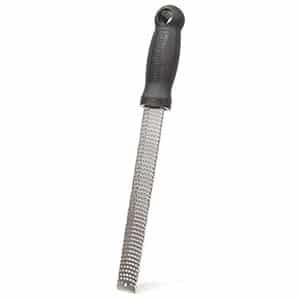 Peeling potatoes, apples, and other produce is easy with this peeler. The swivel blade is a really nice feature! This high-quality tart pan has a non stick finish and is a fantastic dish for pies, tarts, and quiches. The loose bottom means you can take the pie out of the pan for a prettier presentation. 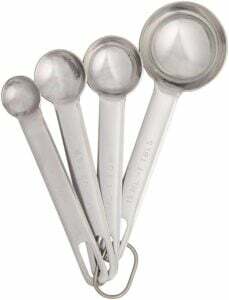 We use these stainless steel measuring spoons every day! Feel free to take off the link that separates the spoons for ease of use and cleanup. Box graters are by far the best tool for grating cheese and veggies. This Cuisinart one is very similar to the one that we use and love. 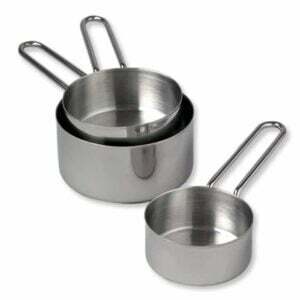 We've used these stainless steel measuring cups for years and have been really pleased with them. This set of 3 comes in 1 cup, 1/2 cup, and 1/3 cup measurements. A good, sturdy lasagna pan is a kitchen necessity! We've used our lasagna pan for roasting turkeys, baking casseroles, and even making lemon bars. So versatile! 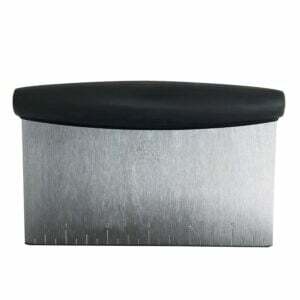 Angled spatulas (also called offset spatulas or palette knives) are a must-have for cake decorating. 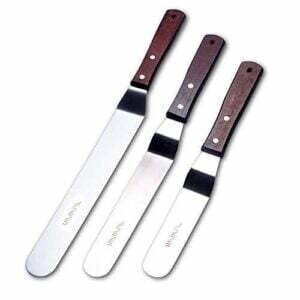 It's so much easier to spread icings and fillings with these high-quality spatulas! 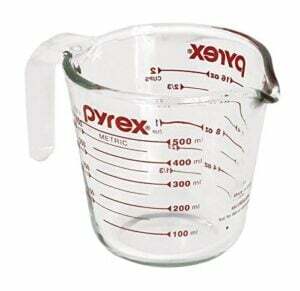 We use this glass measuring cup all the time! It's perfect for effortlessly measuring and pouring liquids. 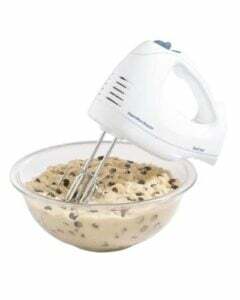 Can't afford a stand mixer? No problem! This little appliance is a hard worker and has a snap-on case to hold the attachments and the cord. 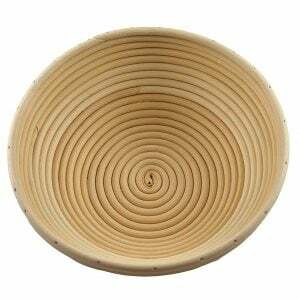 This cane basket is specifically designed for proving bread dough. 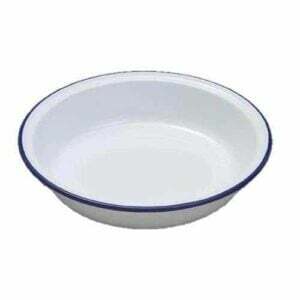 It comes with a linen liner that you can use to cover the bread while proving. All serious bread bakers should have a good banneton like this one! Never worry about moving a cake, pie, or pizza with this large, sturdy cake lifter! It's one of our favorite baking tools. 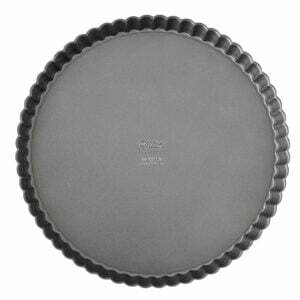 This round metal pie dish is perfect for sweet or savory pies. It can go straight from the fridge to the oven and is easy to clean. A good set of knives is a crucial component of any kitchen. 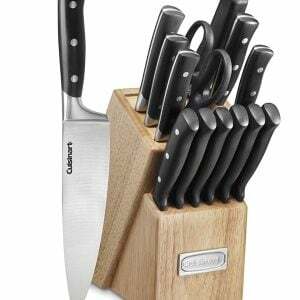 We've used these Cuisinart knives for years, and have been very pleased with them. This set comes with kitchen shears and a honing steel, which is very convenient. 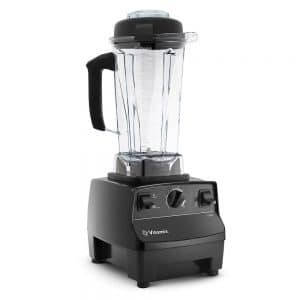 The powerful motor of this blender is perfect for making smoothies and pureeing soups. You can incorporate more fruits and veggies into your diet by blending them into a tasty smoothie in seconds. 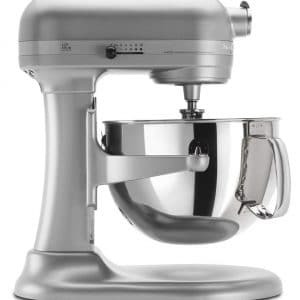 This powerful mixer is a must-have for any cook or baker. 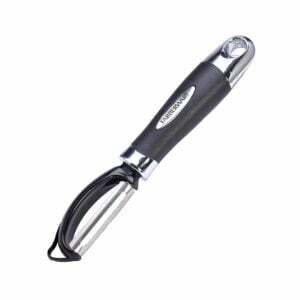 It's great for stirring cake batter, mixing cookies, kneading bread dough, mashing potatoes, and whipping cream. You'll never regret this purchase! These well-made pots and pans have a copper core and heavy base, which is excellent for heat retention and helps cook food evenly. 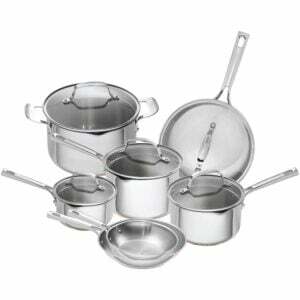 The stainless steel is easy to clean and is very durable. We've used these pans for years! This great cast iron skillet is one of the best pans you'll ever own! 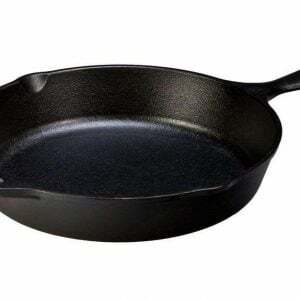 Cast iron is easy to clean, gets a natural non-stick finish, and retains the heat to cook food evenly. 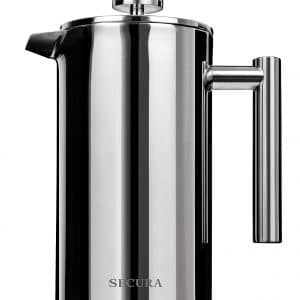 Make amazing coffee with this double-wall stainless French press. It comes with three mesh filters and is really easy to clean. 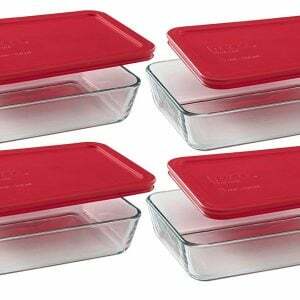 These sturdy containers for good for keeping food fresh in the fridge or freezer and for transporting food to potlucks and picnics. 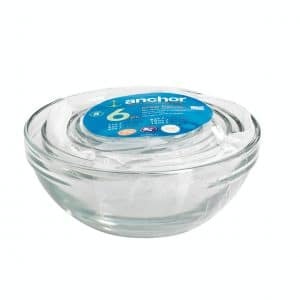 These glass dishes are great for prepping, storing, or serving food. Now you can cook mise en place! These well-made brushes don't shed their bristles or rust easily, unlike many other brands. 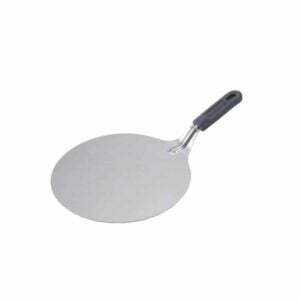 They're a valuable tool for brushing egg wash and butter on baked goods and pans. 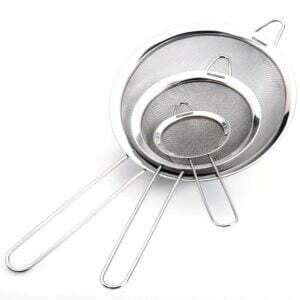 These metal sieves don't get bent out of shape and are perfect for draining vegetables, sifting flour and sugar, and sieving custards. A good bench scraper is a helpful tool for kneading sticky bread dough, cutting dough into smaller pieces, and scraping dough off the counter. The handy ruler along the edge is great, too! 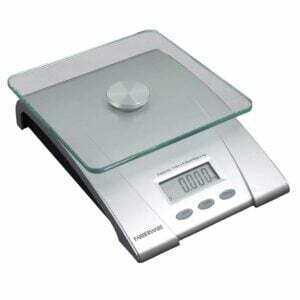 Weighing ingredients for cooking and baking is much more accurate than using measuring cups. This easy-to-use digital scale is an invaluable addition to your kitchen. 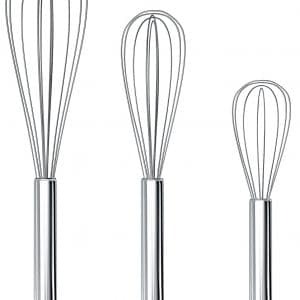 These stainless steel whisks are so durable! We love using them for salad dressings, scrambled eggs, pudding, and lots of other recipes. These flexible silicone spatulas are easy to use and clean. They come in handy for scraping out bowls and reaching into jars. 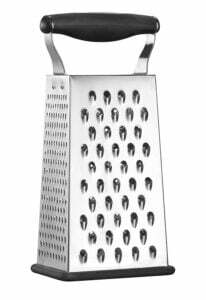 We love using this grater and zester for citrus, ginger root, and cheese. It's such a valuable kitchen tool!